It’s obvious that the world has changed forever with the explosion in mobile devices; not only phones but also with tablets and e-readers. This article is well worth reading. It relates to American stats but if anything, the figures here in Australia are even more eye opening. 1) Nearly half of all American kids want an iPad for Christmas…. Durrrr… A quick look shows that almost half of Aussie mums want an iPad for Christmas. 2) Globally, mobile traffic represents roughly 13% of Internet traffic. Three years ago, that figure was 1%. In Australia, we are the 4th best in the world for 3g penetration (76%). The only countries with better penetration than us are Japan (95%), South Korea (85%) and surprisingly Portugal (78%). 3) Nearly 1/3 of American adults own a tablet or e-reader. In Australia, that figure is already at 38% and an amazing 76% have smartphones. 4)There are now 5 billion mobile phone users in the world but “only” 1 billion smartphone users. Smartphone users are growing at the rate of 42% year on year, globally. Watch out for India to disrupt the mobile world in the next 3 years or so. They already have 44 million smartphone users but that represents only 4% of their market. 5) Android is growing faster than anything. 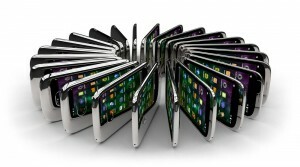 It is growing at 6 times the rate of the iPhone and 3 times the rate of the iPad. The full report is available here and I think it makes for fascinating reading.